It’s not been a smooth World Cup for Mo Salah. He’s been carrying an injury throughout the competition and his team were knocked out after just two games. 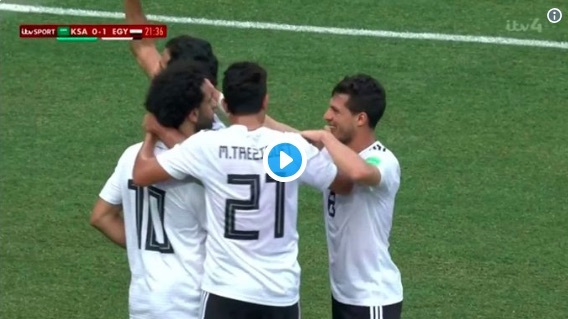 But today against Saudi Arabia he gave the Pharaohs the lead with a lovely lobbed goal that showed both his pace and elite finishing ability. You can watch it below, courtesy of ITV. The Egyptian Twitter account didn’t even name Salah in the original starting XI, amidst a ridiculous internal argument in which our no.11 has been treated terribly. Read this to find out more on the situation. But for now, enjoy his brilliance!